Opt for this outfit that would make you go wow. 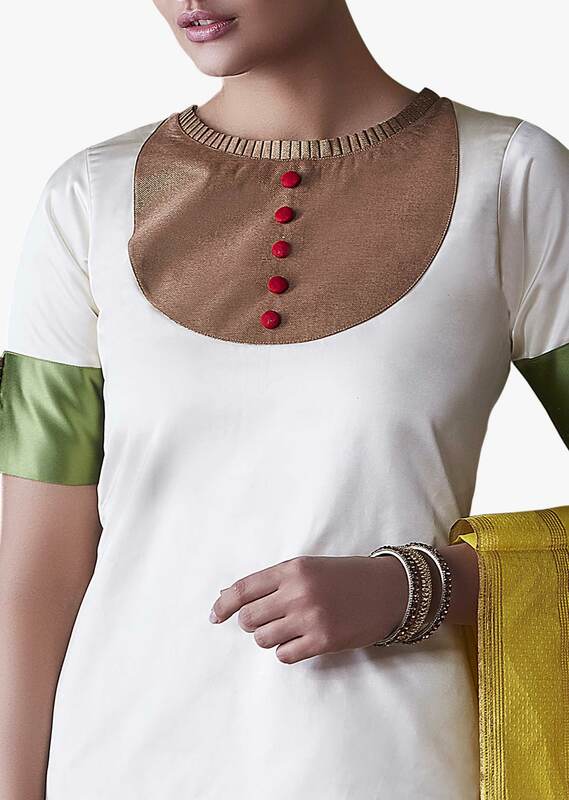 The white suit featuring the lurex fabric at the neck line and santoon overall is feminine and fabulous. 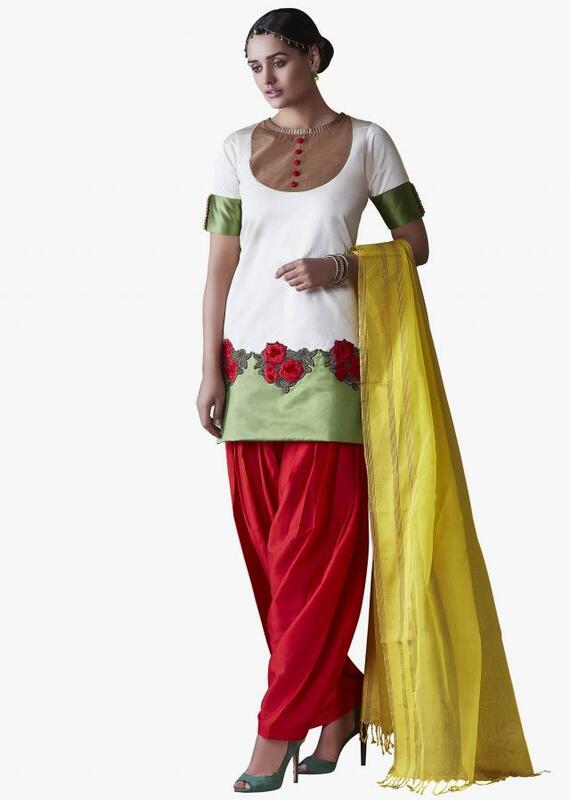 The bottom comes in red color with santoon as the fabric. The suit is teamed up with yellow dupatta in net.